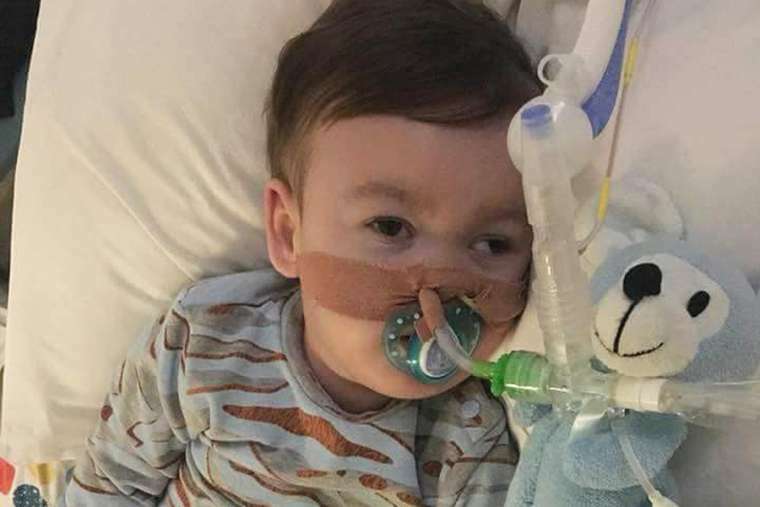 A three-judge panel of the Court of Appeal today rejected the appeal of Alfie Evans’ parents to take their seriously ill 23-month-old son abroad for further diagnosis of his mysterious degenerative brain disease and possible treatment. Lord Justices Moylan and Davis, and Lady Justice King not only turned down Tom Evans and Kate James, they immediately rejected their application for permission to appeal their decision to the nation’s Supreme Court. Their lawyer, Paul Diamond, said they would exercise their other option—to go directly to the Supreme Court for permission to appeal—and will do so by the deadline which is 4 pm Tuesday, according to the Liverpool Echo. Meanwhile “Alfie’s Army” continues to peacefully demonstrate outside Alder Hey Childrens’ Hospital in Liverpool. The exchanges between the Court of Appeal and Diamond did not bode well for the parents, as judged by reporter Josh Parry’s exhaustive real-time summary of the back and forth. With the uniform agreement of the hospital, the judiciary, and the independent guardian that it was in Alfie’s “best interest” to die, Diamond took a different tact. “This is more than a father unable to accept the reality, there are signs of improvement. He has video evidence on this very point. He has requested me to request to you whether you’d have time to watch the video evidence. The Court of Appeal was buying none of this and moreover was clearly angry that Tom Evans had come to the hospital Thursday night and attempted to remove Alfie. Born May 9, 2016, Alfie has a terribly degenerative brain disorder that has baffled physicians and specialists. Alfie has been a patient at Alder Hey since December 2016. Then, late last week, as over a thousand people peacefully demonstrated in front of the hospital, Judge Hayden issued an emergency order that paved the way for today’s Monday in the Court of Appeal.